Jack being the center piece with ongoing body movements draws everyone’s eyes and attention. 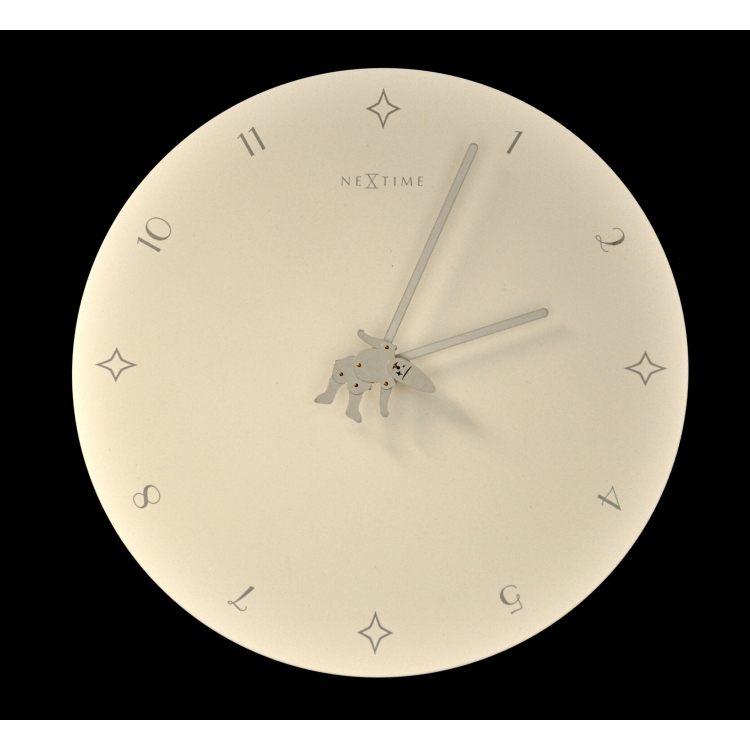 The figure and movement of Jack replaces traditional second hand on a clock; the unconventional Arabic fonts matches well with the design of the stars and clown. 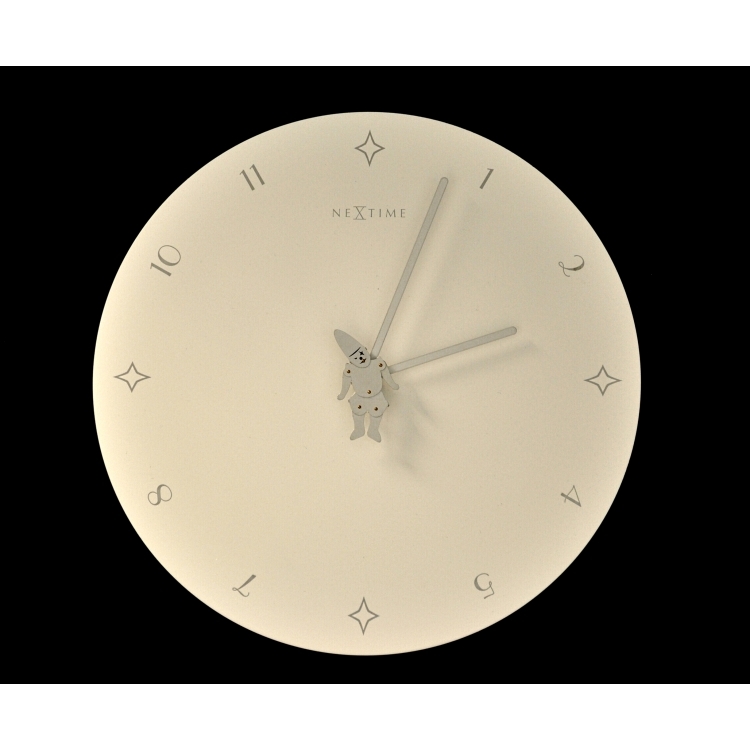 This whole combination makes it a unique and clean design clock.